The death of Irvin Hickey of Lorne occurred Wednesday, November 14th, 2018 at the Moncton Hospital at the age of 80. Born in Lorne, he was the son of the late Frank Xavier and Laura (Bertin) Hickey. Irvin is survived by his wife Theresa, children Darlene Hickey (Paul) of Cambridge, Ontario; Glenda Grover of Black Point; Allison (Judy) of LaPointe Settlement; Donald of Cambridge, Ontario; Donna of Cambridge, Ontario; Kevin (Kim) of Noel Settlement, and Dean of Jacquet River. He is also survived by his 10 grandchildren, seven step-children, 13 step-grandchildren and seven step-great-grandchildren. He was predeceased by his son Glen, brother Celestin, as well as his sisters Rita Caldwell and Sylvia Baskin. Irvin was a 40-year member of the Durham Branch #77 of the Royal Canadian Legion. He was a very active member, having served on several committees over the years. A funeral for Irvin will be held Wednesday, November 21st, 2018 at the St. Maria Goretti Church in Lorne at 11 AM. 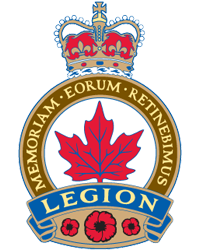 All members of the Durham Branch #77 of the Royal Canadian Legion are asked to assemble at the church fifteen minutes early for a Legion Service. Funeral arrangements are in the care of MacMillan’s Funeral Home, Black Point.